With a collective 8,000 known species, snakes and lizards make up the largest taxonomic order of reptiles, known as squamata, which dates to the age of the dinosaurs. Snakes and lizards are grouped together because they share a significant number of physical, reproductive and metabolic characteristics. Snakes, in fact, are considered descendants of lizards. Snakes and lizards -- like all members of the class reptilia -- are ectothermic, or cold-blooded, which means that they do not possess the internal mechanisms that allow birds and mammals to maintain a constant body temperature. Consequently, snakes and lizards sunbathe to warm up and seek the shade to cool down. 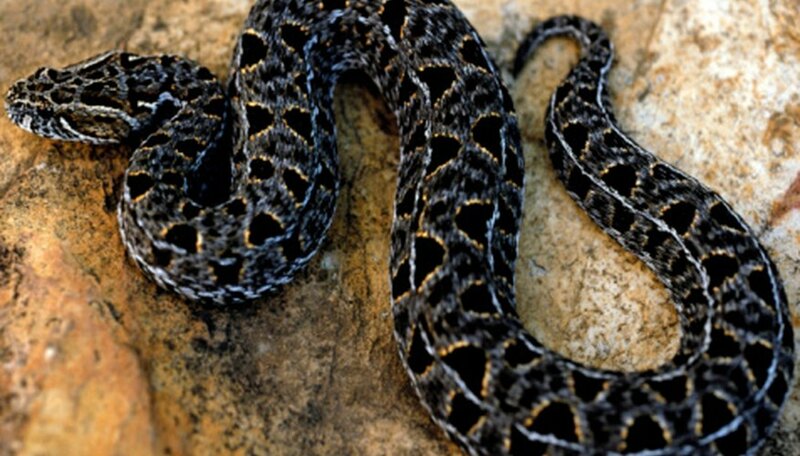 Because their body temperature depends on external conditions, snakes and lizards cannot survive in very cold climates. The overwhelming majority of snakes and lizards are oviparous, a term used to describe organisms that reproduce by laying eggs. A few snake species, however, are ovoviparous, which means that young hatch from eggs inside the body. Other snakes give birth to live young. In all reptiles, however, fertilization takes place internally. At birth, the offspring of snakes and lizards are diminutive versions of adults. The term "squamata" is Latin for "scaled." All reptiles, snakes and lizards included, have very dry skin that is covered in scales. In some species, these scales are smooth, while in others they are keeled, thereby giving the organism a rough appearance and texture. Lizards, however, have many more scales on their bellies than snakes, which have only one row of scales on their underside. The scales of snakes and lizards do not grow at the same rate as the animal, therefore squamates shed their skin periodically, a process known as molting, to accommodate new skin. As reptiles, lizards and snakes have a few internal organ characteristics in common, such as a three-chambered heart with one ventricle and two atria. In addition, the primary means of respiration in both snakes and lizards are a pair of lungs, though the former often lack or have a significantly smaller left lung due to their relatively narrow bodies. Though closely related, there are significant differences between snakes and lizards. Unlike snakes, most lizards have legs. A notable exception are legless lizards, which evolved separately from snakes. Moreover, snakes do not have eyelids, while lizards do. Virtually all snakes are strict carnivores. Some species of lizards, however, also eat plant matter. 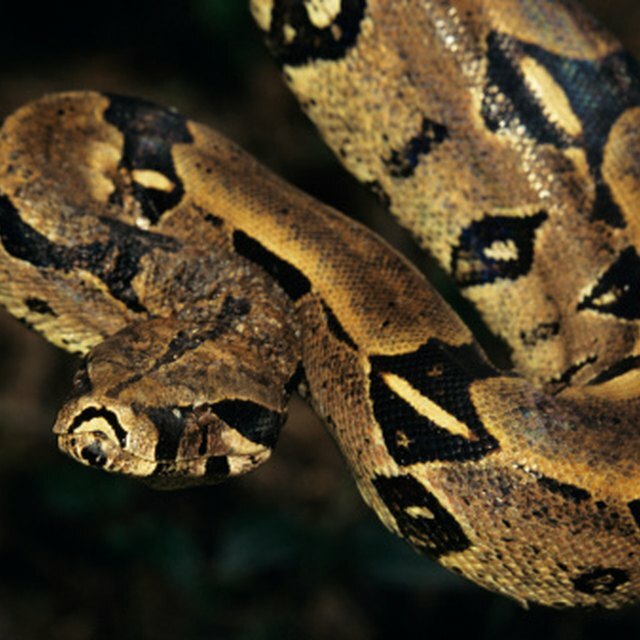 Snakes can consume prey much larger than their own bodies thanks to jaw bones that unhinge. Lizards do not possess this adaptation. Lizards, however, have ears, which snakes lack. Alonso, Nathalie. "Similarities of Snakes & Lizards." Sciencing, https://sciencing.com/similarities-snakes-lizards-8658503.html. 24 April 2017.